The M.V. 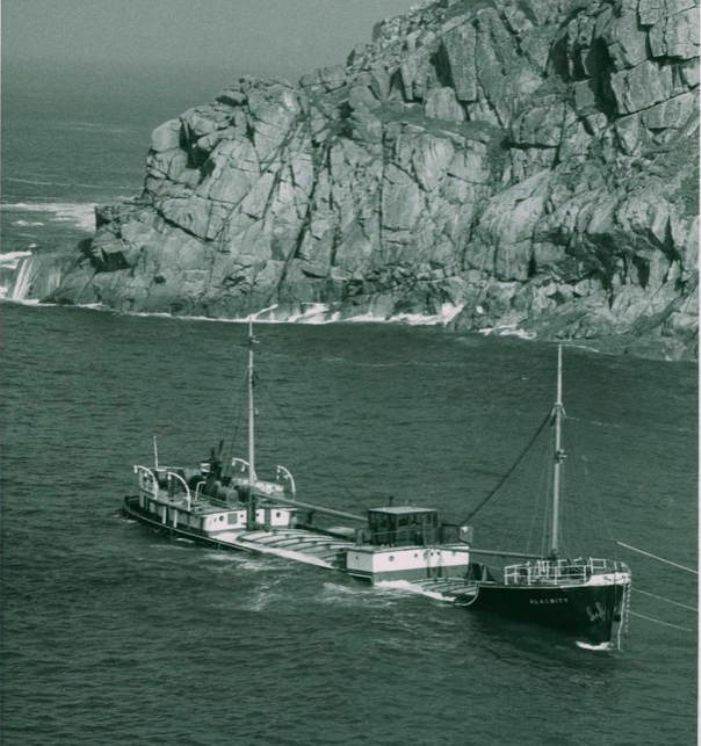 Alacrity ran aground in Portheras Cove, Pendeen in thick fog on 13th September 1963. Alacrity's is a story to which people return again and again. 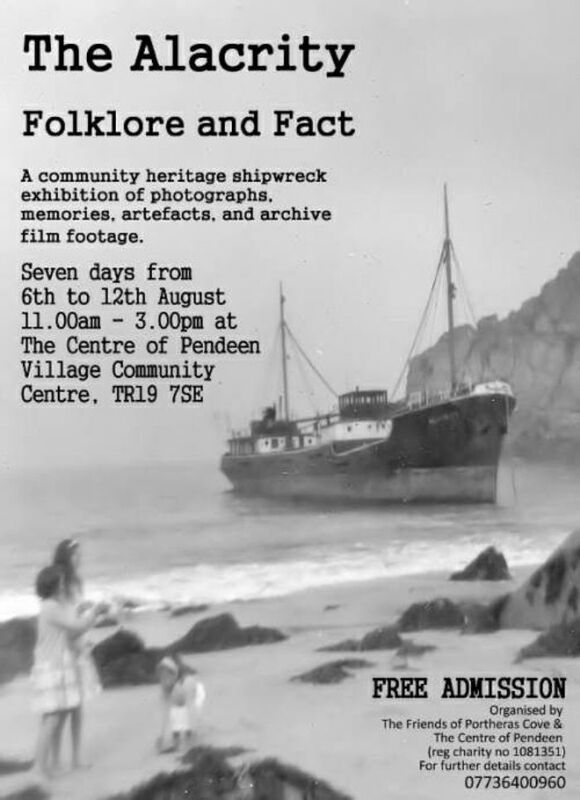 There has just been an exhibition at the Centre of Pendeen featuring the vessel, not the first such exhibition, and on August 25th 2017 The Mail Online carried a major photo feature on Cornish wrecks which, needless to say, also featured Alacrity and the Pendeen Watch lighthouse. Alacrity lay aground on the beach at Portheras Cove for several years, providing a prolonged photo opportunity. A visit to Portheras Cove soon exposes one of the small miracles of the Alacrity story, the fact that she managed to reach the beach in one piece rather than run foul of one of the reefs and rocks that lay between her and the cove. While seriously damaged below her water line, photos show her looking relatively undamaged above. Having made the news in 1963 by stranding at Portheras, Alacrity returned to the headlines in 1981 when she was the subject of an attempt blow her up and thus remove her from the beach. Quite a lot has been written about the blowing up of the Alacrity and it's fair to say that the operation, carried out by the Royal Engineers, was not a complete success. Alacrity was less visible following the application of high explosives but she was much more distributed, with large and small pieces of metal all over the beach continuing to provide a hazard for years afterwards. The beach has now been subjected to a serious clean-up but pieces of metal still appear from time to time. Alacrity was one of just two wrecks to take place around the coast of Cornwall in 1963, a far cry from the dangerous days of 19th century when a port such as St Ives could lose four vessels in a single night. If the story of the Alacrity has piqued your interest you may be interested to know that a book on the subject is in preparation and will be published in the course of 2018.